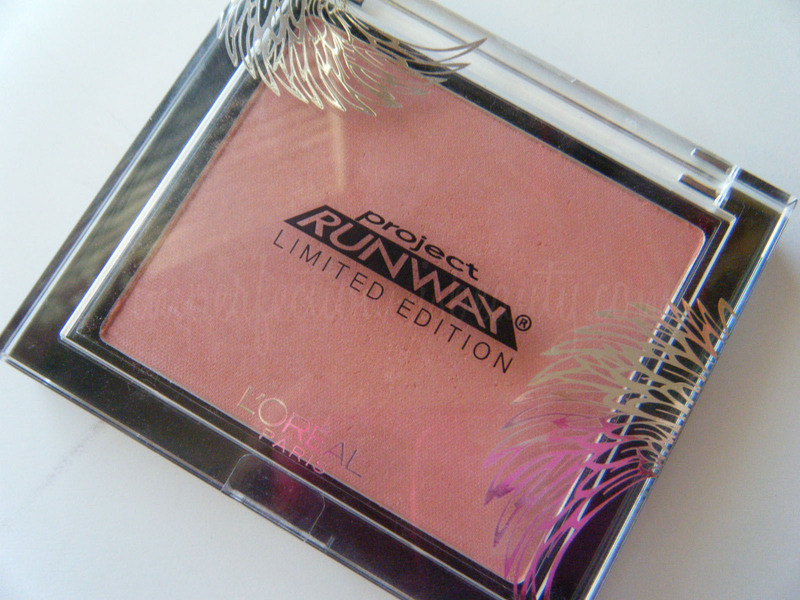 Recently, a few of L'Oreal limited edition blushes were restocked at my local drug store. The first time I seen these was when I purchased the Project Runway eyeshadow quad last month, and really didn't think twice about the blushes. Well considering they're were two blush colors left (the other one being more like a bronzer) I decided to pick this baby up to give it a whirl. Although, I haven't heard to much hype about this on in particular and I'm actually really surprised. The color I picked up is the Charming Cockatoo's blush. 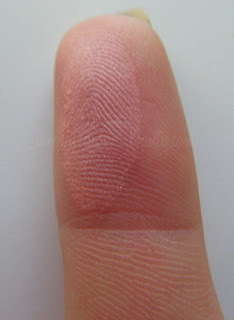 This is from the same collection I picked up the eyeshadow quad (for swatches here). The blush size is actually what really sold me. Looking at it their is A LOT of product. Their is .035 OZ/ 10g in this sucker. That's as big as one of Mac's msf. Mac blushes are only .21 thats only 6 grams of product. 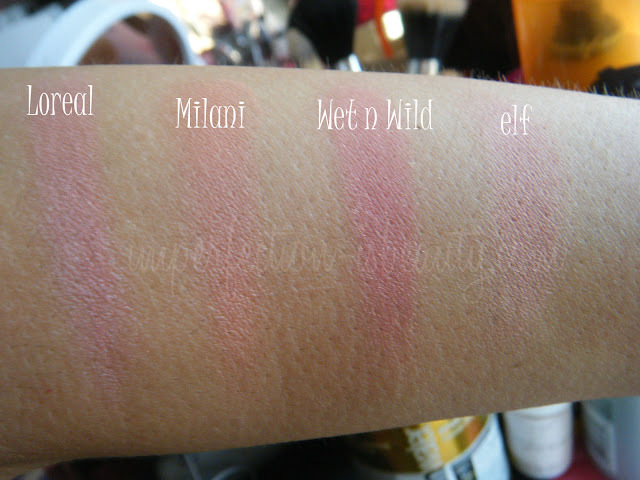 They are a tad bit pricey for a drugstore blush but its actually pretty worth it considering the size in all. These run about $10 and are sold at any drug store, and right now at Ulta they are having a buy one get one 50% off. Now the packaging is what I really love, and what really drew me in. The case is pretty durable, and thick. It has a pretty wing detail on the front with the Project Runway LE logo. I would say that the plastic case is pretty decent that I wouldn't have to worry about traveling and it breaking, or cracking. Since it is LE I don't see these lasting on shelfs, so if you do get a chance to pick one of these up I would reccommend it. On the blogosphere I did see a few reviews on the sultry raven blush from this collection, and their weren't all that great reviews. However, the Watchful Owl is suppose to be pretty pigmented as well. If I can get my hands on a few more I most definitely will. 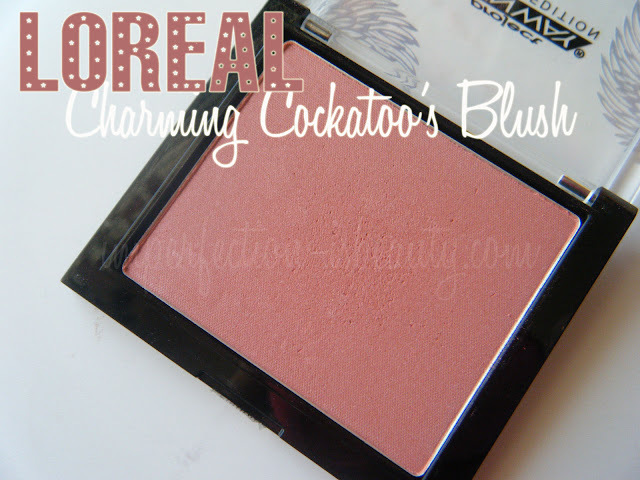 I also included a few other drug store brands that are pretty similar to Charming Cockatoo blush. Did you pick anything up from this collection? lovely color! 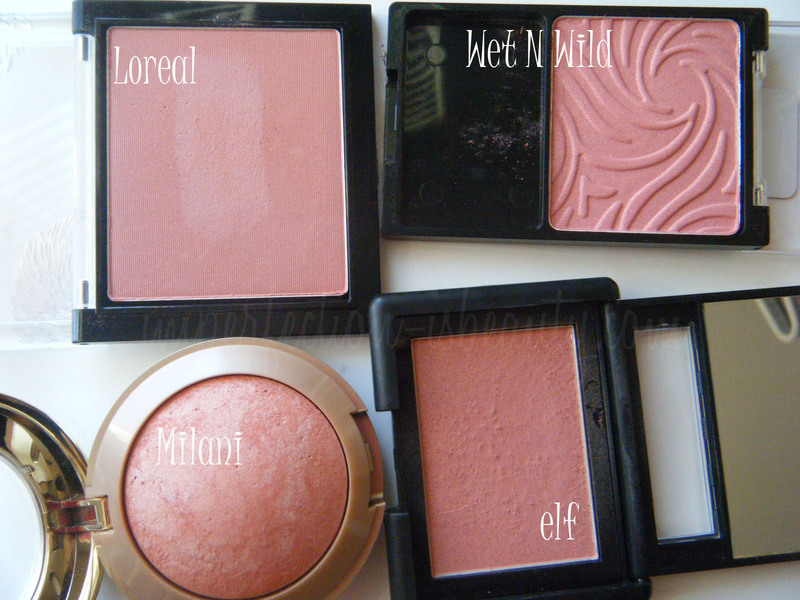 i love blushes! It sounds like a really great blush. And yes, $10 is not that bad considering the size. I can't wait to see your Halloween Makeup entry! nice!! i have to try the blushes! wow such beautiful blushes! milani is super cool!! in buy to get free radio commercial! The biggest reason why even well-established brands don't shy away from it. Low-fat foods and small meals help prevent heartburn.